After raising US$100 million in series C funding in October last year, Hong Kong logistics startup Lalamove has ventured into the Malaysia market, testing its services in Kuala Lumpur since June. The company recently officially kicked off its Malaysian operations, with plans to open new offices and expand the business, the Hong Kong Economic Journal reports. The Kuala Lumpur office currently offers services to 200 small-to-medium enterprises (SMEs), and has 1,800 registered drivers, Yong said. According to Sik Hoe Yong, Lalamove’s country director in Malaysia, the startup fleet has been able to complete deliveries in under 36 minutes for locations within five kilometers or less, after the firm began testing its services in the market. Lalamove said it currently has no mergers and acquisitions plans. Out of 305 qualifying applications, Origami Labs, the Hong Kong-startup that makes smart rings that allow people to hear and send text messages without taking out their phones, has been selected by Google for Entrepreneurs and will be competing in the pitch to top global investors at Demo Day Asia—taking place this September in Shanghai. Founders applied from every corner of Asia-Pacific, across industries as diverse as agriculture, entertainment, and healthcare. They will pitch to a distinguished panel of leaders from Google for Entrepreneurs, Sequoia Capital China, and Venturra Capital on September 20th in Shanghai. The startups that impress could come home with funding from investors and up to $100,000 in Google Cloud Platform credits. 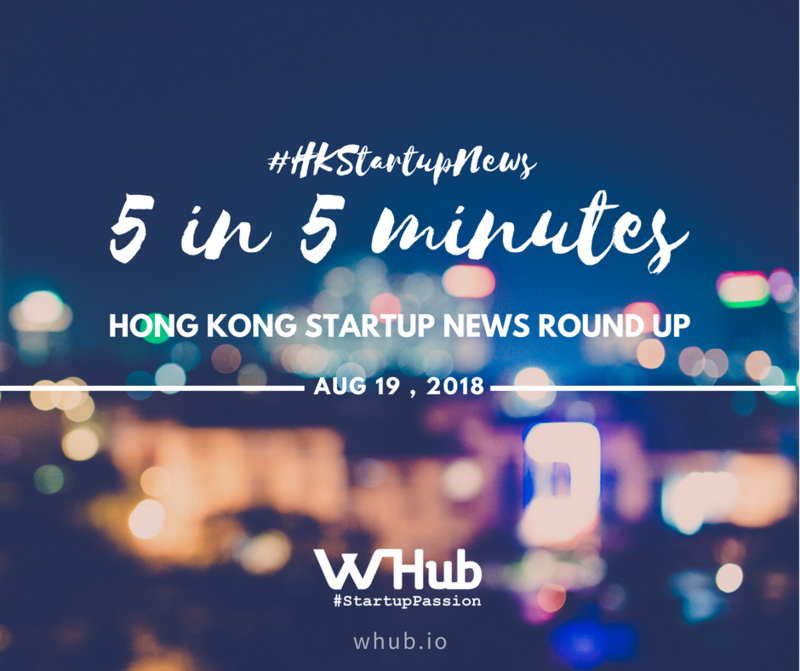 Hong Kong Science and Technology Park chief Sunny Chai Ngai-chiu laid out an ambitious plan to double the number of startup incubatees from the current 268 to 500 by 2022-23. Chai said an incubatee would need four elements to succeed: technology, talent, capital and market. Chai believes the park must have a good innovation and technology ecosystem to help incubatees. Of the HK$10 billion in this year's budget allocated to the park, 30 percent is for constructing and upgrading infrastructure, while the other 70 percent is for supporting tenant companies. Chai said the current 3.55-million-square-foot area will be expanded to 4.3 million sq ft, with funding for many facilities to be updated. Octopus Cards Limited has teamed up with HKSTP incubatee Wetaxi Technology Company to launch a mobile taxi hailing and payment service. Under the collaboration, Octopus will enable payment services using Octopus cards or Octopus O! ePay through the new WETAXI HK app. As a promotion, until October 8, Octopus Cards Limited will donate HK$5 to the Hong Kong Committee for UNICEF and the Hong Kong Red Cross for every fare costing HK$50 paid via Octopus for a taxi hailed using the app. Wetaxi Technology Company also plans to implement a driver rating system to the app, as well as provide information such as instant traffic reports for the version of the app for drivers. Japanese social messaging app LINE announced the creation of a $10 million blockchain venture fund as part of its expansion into the crypt currency market. Launched via Hong Kong-based subsidiary unblock corp., the fund contains funds from fellow LINE sister outfit LVC Corporation. The move, it claims, makes LINE “one of the first publicly traded corporations to formalize token investments through a corporate fund.” The Japanese giant has pressed ahead with cryptocurrency integration in 2018. Launching unblock in April, the platform’s cryptocurrency exchange BITBOX subsequently debuted in mid-July. At the same time as announcing the venture fund meanwhile, BITBOX confirmed that TRON would be the next cryptocurrency to begin trading on its books. TRON’s acquisition of P2P platform operator BitTorrent Inc. in July, a LINE official hinted, had been a major impetus behind the decision.